The console wars just got kicked up a notch with the launch of Microsoft's Xbox One, which launched today following the Xbox 360's eight-year run. The Xbox One also comes just one week after Sony released its own next-gen console, the Playstation 4. While Sony has focused primarily on gaming with the PS4, Microsoft sees the Xbox One as a grand entertainment hub. Users can hook up their cable boxes to console, and it'll display a program guide that users can navigate with voice or motion controls. A split-screen Snap view, similar to the one in Windows 8, lets users view an app or video in a narrow sidebar while playing games at the same time. The idea shows a lot of promise, but it also needs some refinement. As TechHive's Jason Cross noted in his Xbox One review, voice control isn't flawless, the console can't directly access your cable box's DVR, and some apps that we'd like to see, such as HBO Go, are missing at launch. The console also isn't as tightly integrated with Facebook and Twitter as the rival PS4. Of course, the Xbox One is still largely about gaming, and while there's been a lot of debate about whether Microsoft's console can keep up with the PS4, many of the finer distinctions won't be known until later in the console cycle. For now it comes down to some games having a slightly higher resolution on Sony's console, though you can still see 1080p, 60 frames per second graphics on display in Forza 5, Microsoft's exclusive racing game. Other Microsoft exclusives include the brawler Ryse: Son of Rome, the zombie thriller Dead Rising 3 and the fighting game Killer Instinct. Check out TechHive's list of the best Xbox One and PS4 launch titles if you're trying to decide what games to buy today. IGN's website has a convenient list of launch games and "launch window" games coming by March 2014. 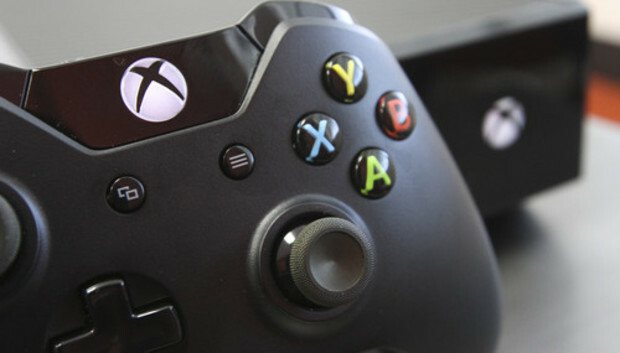 The Xbox One is also Microsoft's attempt to make its game console part of the larger Windows-based ecosystem. Although the Xbox One is not a PC, it runs on x86 architecture, and the operating system is based on the Windows kernel. Some synergies are already apparent: You can access Microsoft services such as Skype, SkyDrive, and Xbox Music through the console, and the SmartGlass app for Windows (plus iOS and Android) lets you navigate the console with your nearest touch screen. But over time, the Windows kernel will also help developers create apps for all of Microsoft devices more easily. It wouldn't be a console launch without hiccups, and Microsoft is dealing with its fair share. Already there are reports of faulty disc drives and scratched cases. Sony has its own complaints of broken consoles to deal with, but hopefully we won't see anything as widespread as the Red Ring of Death this time around. The Xbox One sells for $500, which is $100 more than the PS4, largely because of the included Kinect camera. But if you didn't pre-order, you may have trouble getting the console anytime soon. It's completely sold out on Microsoft's Website, Amazon, Best Buy and GameStop.